Most businesses fail to scale up. 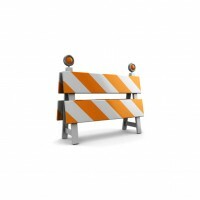 Here are three obstacles you need to blast through if you want your business to grow. Most businesses fail to grow — with a vast majority remaining tiny, one- or two-person shops. I’d like to see more reach their potential. Even if a business isn’t destined to be the next Google, Amazon, or Facebook, it can still become a thriving, mid-market company. Here are three barriers to growth you need to blast through if you want your business to scale up. 1. The inability of the CEO to let go. This is the primary reason that a paltry 5% of businesses break the £1 million revenue mark and only about one in eight of those reach £10 million, according to recent data. Either the owner thinks he’s the only person capable of getting things done or tried to delegate once but got burned by a bad hire and can’t trust anyone again. The only way to get through this is to find people who can do things better than you and who don’t need to be managed. Will the team members you hire mess up sometimes? Yes, but you’ve got to push past that. If you suffer the short-term challenges of bringing someone up to speed, your life will get a lot easier and your company will be able to tackle bigger projects and contracts. In the startup phase, when you’re not making much money, you’ve got to be a bit of skinflint, but there comes a point where you have to invest in your business or it won’t grow. I’m not suggesting that you spend yourself silly, but if you want to grow, you’re going to have to upgrade some of your systems, whether that means your accounting software, phones, or IT infrastructure. You’ll need better office space than your garage. Probably the most important step you can take is to find a great accountant or Finance Director . Most entrepreneurs think they should spend money on making or selling products or services, like they did in the startup phase. However, as your business grows, you need detailed data about where you’re making money — or not — to make the right decisions. The figures on your balance sheet can hide a multitude of problems. A good accountant will help you figure out how much money you’re bringing in by customer, by sales person, and by location. That way, if your company is a wreck, you’ll know where to fix things — so you don’t build an even bigger mess. Hiring a great accountant or Finance Director will cost you, but it will help you make money in the long run. 3. Not adjusting to unforgiving market dynamics. If you’re doing things right and your business starts to grow, you’re going to find yourself with more competition. Copycats will come out of the woodwork. The big guys will realise you’re on to something, get angry when you ruin their quarter, and try to knock you down so you don’t steal any more market share. Meanwhile, as your customers do more business with you, they’re going to want price concessions. It’s easy at this stage to get sucked into day-to-day operations, but this is precisely when you need to start paying more attention to market-facing activities and delegate internal matters to a strong team. Your job as CEO is coming up with the right strategy to keep growing and to adapt it to changing market conditions. It’s only when you are willing to adjust your mindset that your company will be able to grow. Neale Lewis works alongside Mid Market high growth organisations providing the growth tools and the Leadership training to help them successfully Scale-Up.